Even though Malaysia was a “tough nut to crack”, I give credit to the Najib administration for sensibly following international norms - not to mention, UN obligations - by allowing Israel to participate in this forum even though the Foreign Ministry in a cowardly manner attempted to deflect from this obligation when confronted with the predictable bigoted rhetoric from Amanah and PKR. Really, Saudi Arabia? The country which has since conceded that it has intentionally supported radical Muslim groups all around the world is now the whipping boy for Islamists wanting to outdo each in domestic politics? Isn't it strange how Amanah and PAS sound so much alike? 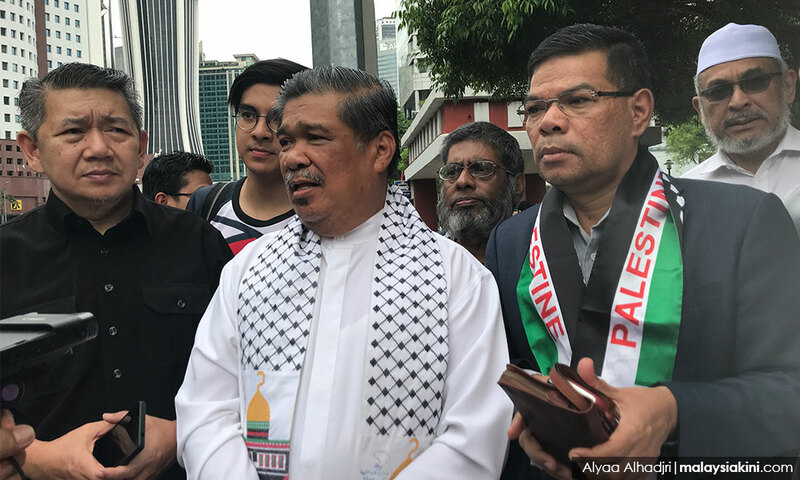 I contend that the only challenge to the country’s dignity is having people who make stupid anti-Semitic remarks like what Amanah and PKR have done with this issue. Anti-Semitism is mainstream in Malay politics. Anything wrong with the Muslim world is blamed on the Jews. We have hosted despotic theocratic regimes. We have welcomed religious tyrants. We have courted religious fanatics. We have embraced religious extremists who mock the religions of the non-Muslims in this country. Yet when the only real democracy in the Middle East comes a calling, the Islamists use it as a weapon against Malay power structures in an attempt to appear “more Islamic” than their brethren.